This church, built in 1032, is where Dante as a boy first espied the young Beatrice in 1273 and where he would later wed his second choice, Gemma Donati, whose family arms still emblazon the 13th-century porch. 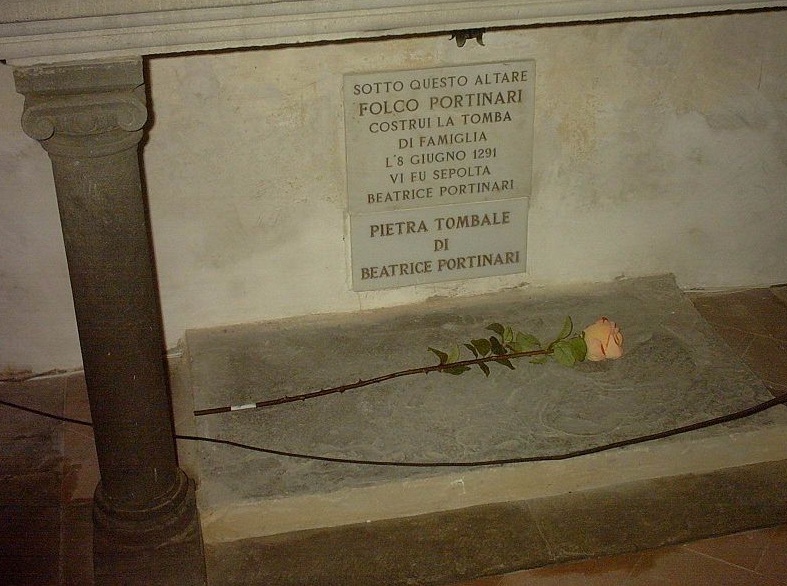 Both Beatrice and Gemma were buried here in their family tombs (although Beatrice was probably really buried in the Bardi tomb of her husband's family); you can also see the tombstone of Monna Tessa, Beatrice’s nurse. Like Juliette in Verona, Beatrice gets a lot of letters from the lovelorn, deposited in a box by the altar, although unlike Juliette, she doesn't have a bank of secretaries writing replies. The altar boasts a beautiful golden Madonna and Four Saints by Neri di Bicci.